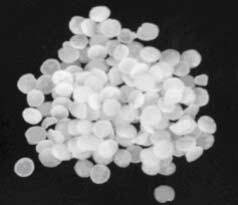 The company has carved a niche in the business of exporting and supplying superior quality Caustic Soda Pellets. Formulated from the best grade chemical compounds, the Caustic Soda Pellets offered by us are extensively used in varied industries for manufacturing papaer, soaps, etc. It is also used for production of vinylchloride as a neutralizing agent and drying agent of the finished product.